Welcome to Episode 183 of Gun Guy Radio! This is the podcast that shines a positive light on the firearms lifestyle. 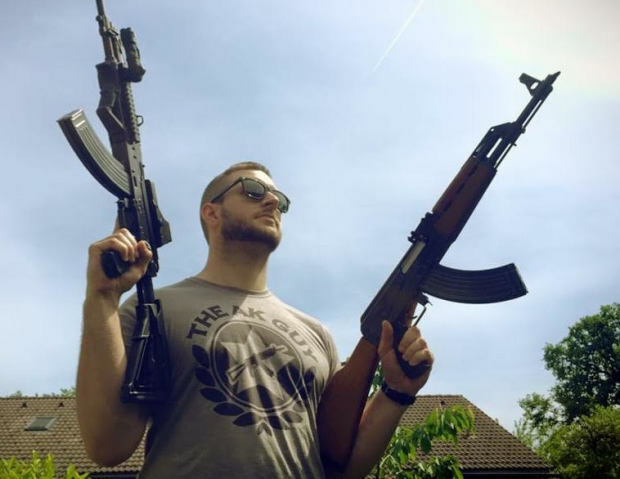 I’m Your host Ryan Michad and this is your weekly dose of positive firearms talk, without the politics.This week, I’m joined by Brandon “The AK Guy” to discuss his AKs in the USA documentary and the Indiegogo campaign he is currently having to make that documentary a reality! Brandon the AK Guy currently has an indiegogo campaign setup for his upcoming venture. However, lets talk with Brandon a bit about his background. How did you get started shooting guns? How did you get familiar with the AK platform specifically? What do you feel more comfortable with, AK or AR? Why do you think that people still pick the AK over the AR? Perhaps they like the idea of the larger caliber 7.62x39? Do you prefer the AK74 or the AK47? Carbine style or full length rifle? What is the indiegogo campaign you’re doing right now? How has the importation or manufacture of AKs into the USA been over the past 20 years? What will the indiegogo campaign allow you to do? How will people be helping you? In your opinion, what is the best foreign made, and the best USA made AK, respectively, for the money today? Where can people find more information about you and how can they help the campaign? Thank you so much brandon for coming on, i really appreciate it!